‘The eyes are the windows to the soul’. This adage is as old as time itself and holds through innumerable boundaries. Pictures have proven to be one of the most trustworthy proofs in recent centuries. They have wrecked many devils, built skyscrapers and brought down mountains. Photographs have stated wars and ended battles. Most of the groundbreaking photographs ever taken have fixed themselves in the sand of time because of their quality but mostly because of their frightening global impact. Some of them have shaped the way we think while others has directly changed the way we live. Today we would be looking at the most influential and iconic photographs ever taken. 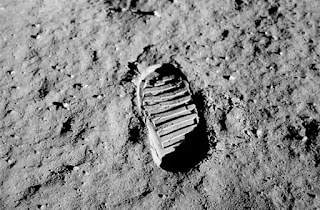 On July 20, 1969, mankind left its footprint for the first time on a body which was neither sand, dirt or anything of this Earth. Astronaut Neil Armstrong and his crew had made history—he was the first man to ever set foot on the lunar surface, a feat which would have been laughed mere decades predating to that day. The historical event was broadcast to an excited worldwide audience. “That’s one small step for [a] man, one giant leap for mankind.” Armstrong famously said. Armstrong and fellow astronaut Buzz Aldrin spent the next couple of hours collecting samples, while the third member of the team, Michael Collins, remained in the command module. Apollo 11 then came back safely to Earth on July 24, 1969. The success of the mission meant that the US had won the Space Race and had fulfilled the dream of placing man on the moon. 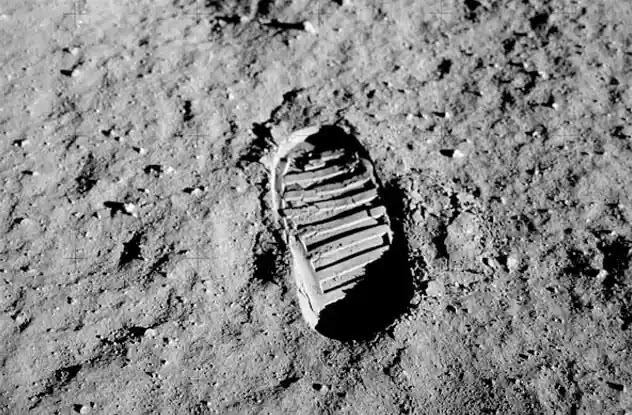 By the way, there’s no wind on the Moon; so talking about timeless, that footprint won’t fade for millions of years. It is said that it is the only grass that can truly explain the horrors of two elephants battling. Yes, war is only sweet in the planning room but never on the ground. This picture shows a Biafran albino boy whose only crime was to be caught between the Ojukwu-Gowon scuffle during the Nigerian civil war. Since the government had completely shut borders, pictures were as scarce as food supplies. 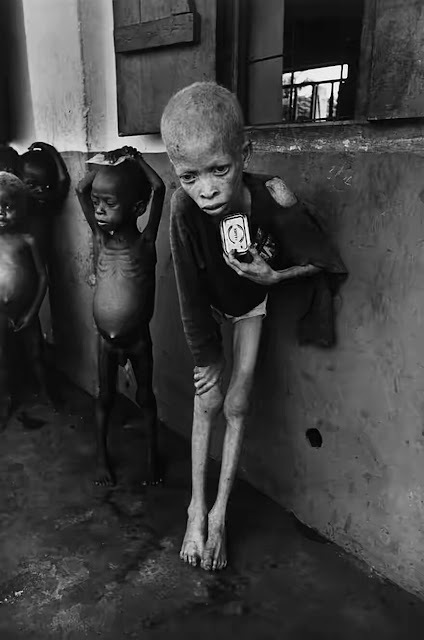 A brave British war photographer – Don Mccullin sneaked this picture into limelight to spark worldwide outrages and pressure on the Nigerian government to take actions on shipping relief materials to the ravaged region. 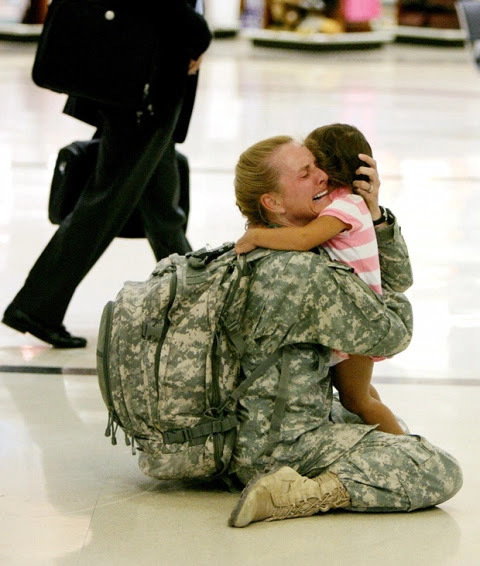 Major Terri Gurrola breaks down upon being reunited with her daughter Gabi. Gurrola was returning from a year-long deployment in Iraq and was scared her young daughter might have forgotten her. The picture showed that even the thickest souls have a soft spot and drew tears from a good number of eyes. 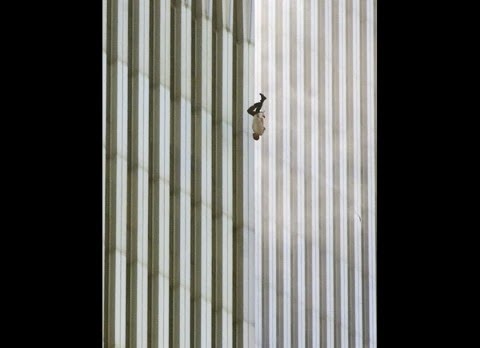 ‘The falling man’ is one of the simplest and most horrifying images from 9/11. His identity has never been confirmed. This picture sparked worldwide condemnation of Alquaeda and is one of the fewest photos that brought the world in contact with the real terrorism victims. 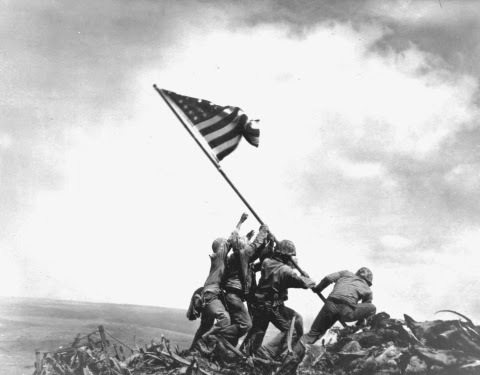 Arguably the most famous image in American military history – marines raising the stars and stripes of the American flag above Iwo Jima after an extremely violent battle with the Japanese. Some of the men raising the flag were killed in battle shortly after the photo was taken, leading to confusion over who was actually in the image. Irrespective of this, the photograph became an icon of American strength. 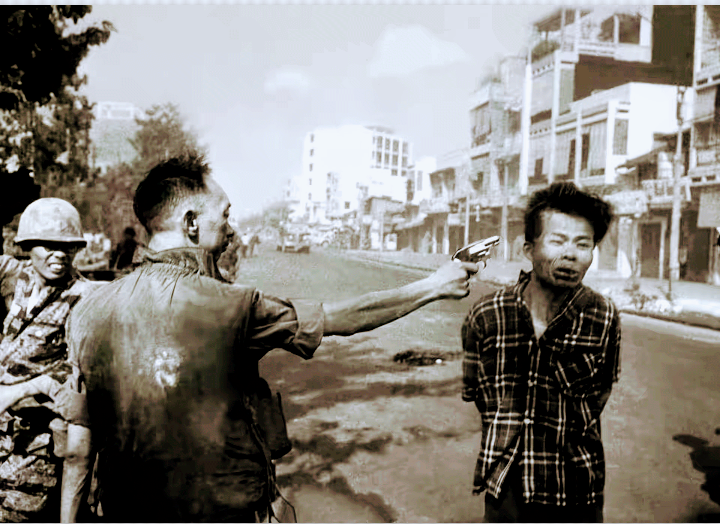 This shocking image shows South Vietnamese police chief Nguyen Ngoc Loan executing Vietcong member Nguyen Van Lem in the street during the Vietnam war. On February 1, 1968 - two days after the forces of the People’s Army of Vietnam and the Viet Cong set off the Tet offensive and swarmed into dozens of South Vietnamese cities, a war journalist - Eddie Adams looked through his viewfinder expecting to watch the interrogation of a bound prisoner. But alas, he got the shock of his life!!! , He saw the chief calmly raise his .38-caliber pistol and summarily fire a bullet through Lem’s head. Without a blink of an eye!!! The photo immediately sparked massive outrage against the police chief and subsequently ruined his career. On the flip side though, you can say the man was just doing his job. Yes, i know what is going on in your head! You are now free to take a jab at me. The freezing of the moment of Lem’s death symbolized for many the brutality over there, and the picture’s widespread publication helped galvanize growing sentiment in America about the futility of the war. It also landed the lucky folk a Pulitzer. 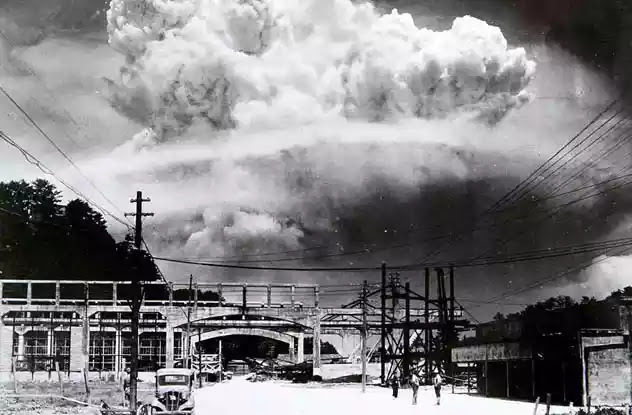 On August 9, 1945, America dropped the first atomic bomb over the Japanese city of Nagasaki, killing an estimated 40,000 people on impact. Thousands more would die later from burns and radiation sickness. The scene was hellish, as thousands lay dead or wounded underneath the debris. The city had been reduced to rubble. What’s more striking, though, is that this photo was taken 20 minutes after the explosion. The destruction still enormous is still hanging in the air. What’s more, on the right side of the photograph, three people stand in awe of what just happened. We really can’t even imagine what had to be going through the heads of witnesses. Magic, I guess. The most famous of all Solvay Conferences had the world’s best scientists discuss the newly discovered phenomenon of quantum physics. These scientists were contemporaries, but many are so individually famous that it’s astounding to see them all gathered in one place. 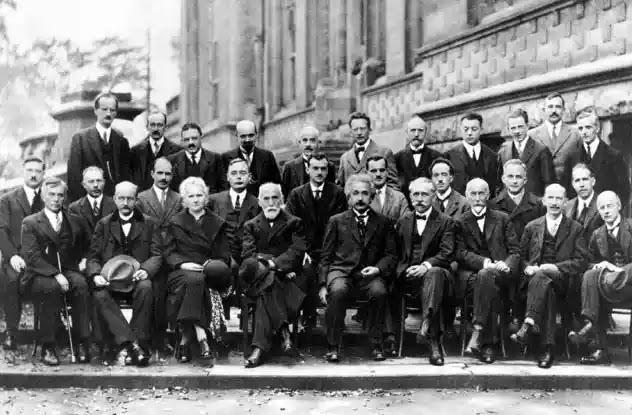 In the back row, sixth from the right, is Erwin Schrodinger , known for his developments in the field of quantum theory, from which he formulated the great Schrodinger equation in wave mechanics. He shared the Nobel Prize with fellow scientist Paul Dirac. In the middle row, first from the right, stands Niels Bohr. He was the first to show that energy levels in atoms were quantized. His contributions to science have placed him as one of the founders of modern physics. On the flip side, Bohr was part of the infamous Manhattan Project that resulted in the development of the atomic bomb. The third person from the left in the front row is the iron lady of science- Yes, the great Marie Curie. in case you don’t know her, She coined the term “radioactivity” and was the first woman to win the Nobel Prize. She was also one of the very few people to win a prize in two disciplines, chemistry and physics. Also in pictured were icons such as Werner and Peter Debye. To sum it up, this conference pretty much created the platform for all of modern-day physics to build upon. Having all of these incredible minds in the same picture is simply mind-blowing if not astonishing. 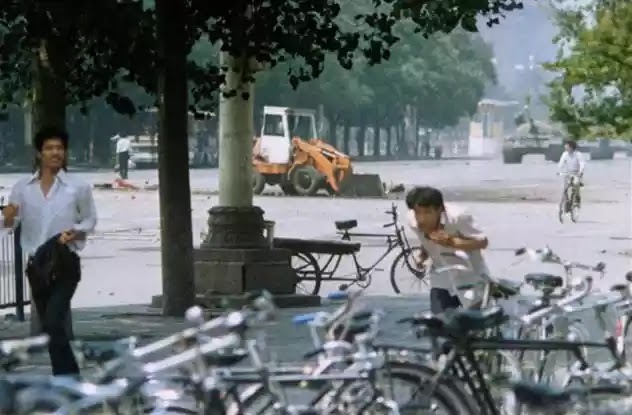 The Tiananmen Square protests of 1989 produced arguably one of the most iconic images of the 20th century. 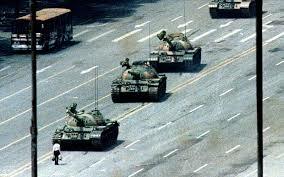 Here, a single man blocked a whole battalion of Chinese tanks. We can see that the famous unnamed protester is carrying groceries—he wasn’t some freedom fighter trying to prove a point. He was a regular guy just going about his day. 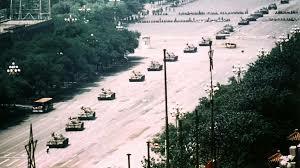 To the right side, we can also see the approaching tanks, which will eventually came to a halt. While all of this is taking place, civilians scramble for safety. But one man, not visibly different from the rest, chooses to stay put. It shows that you, I, or anyone (as ordinary as we think we may be) can do extraordinary feats if we really want to. 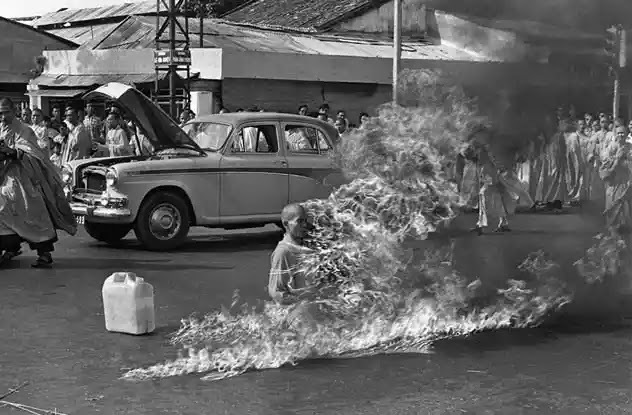 This shocking photograph of Quang Duc, a monk who set himself on fire at a busy Saigon road intersection was taken in 1963. He died protesting the persecution of Buddhists by the South Vietnamese government. The regime had made life very difficult for Buddhists, banning them from flying their traditional flag or practicing their belief. Quang Duc emerged from a car just outside of the Cambodian Embassy, accompanied by two other monks. He calmly sat down in a traditional meditative position while another monk soaked him in Petrol. Quang Duc didn’t even flinch as the other monk struck a match and set him ablaze. Onlookers were mostly shocked, but some of them actually stopped and prayed as the monk burned alive. His protest sparked worldwide media battering. The image made headlines all over the globe within hours. 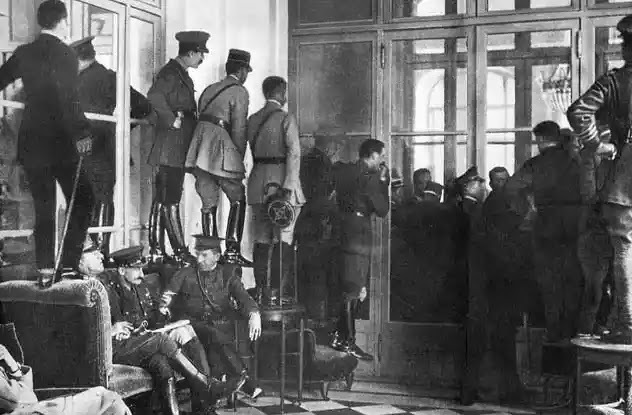 The Treaty of Versailles was one of the peace treaties that ended World War I. One of the most important one. Even though peace treaties in general are usually fair and transparent, this particular one - frankly, was terrible. Infact, a pure wreck. Its terms were based on bitterness and revenge, rather than logic. It put full responsibility of the war on Germany as if they were the only with a gun, making the country pay insanely high reparations (which it didn’t finish paying off until 2010 ). This created a huge dent on Germany’s economy, made the nation all too eager to regain strength at any price, and ultimately set the stage for World War II. Shown above is Tenzing Norgay. 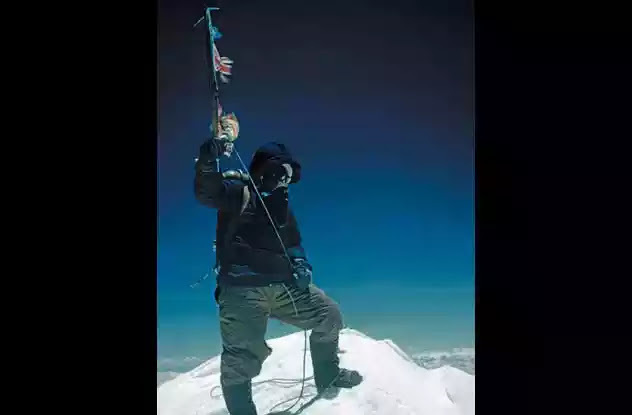 On May 29, 1953, he and his companion Edmund Hillary became the first individuals known to reach the summit of Everest. They had managed to conquer the world’s highest mountain a mere three days before Queen Elizabeth II’s coronation. Ceremonially, the news didn’t reach the world until the morning of the coronation itself. The duo spent only about a quarter of an hour on the summit. Hillary then took the famous photo of Tenzing posing with his ice axe, but when Tenzing asked to return the favor, the New Zealander refused . They took some additional photographs as proof, and with that, the duo slowly began the dangerous descent back to civilization and fame. This picture shows what great things can be achieved by sheer willpower and determination.